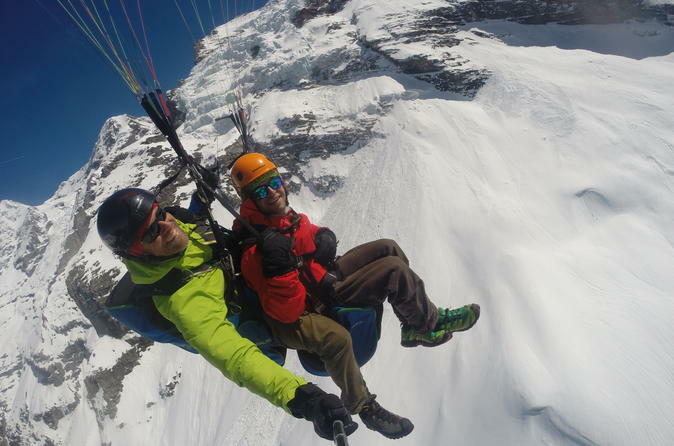 Soar over the majestic Swiss Alps, the Lauterbrunnen U-Valley, and the Schilthorn with this 1.5-hour paragliding adventure. Together, with an well-trained pilot, experience the feeling of absolute weightlessness. Fly high into the sky for one of the most unique experiences of a lifetime.